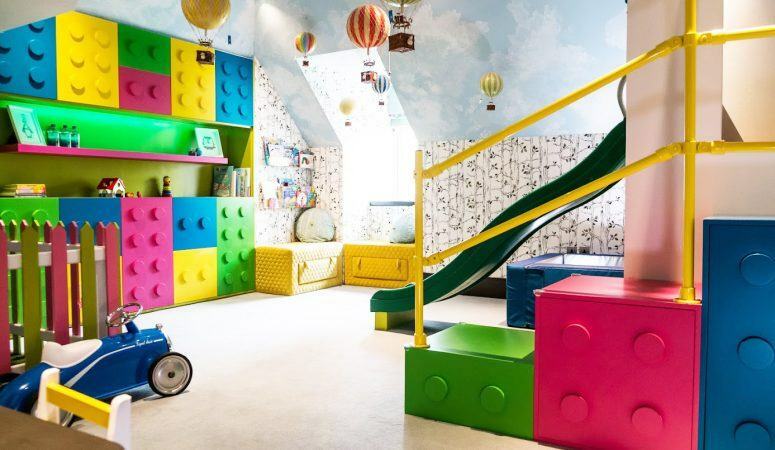 In February, my team and I had the privilege of designing a unisex playroom for a 1.5 year old boy and a 3 year old girl. 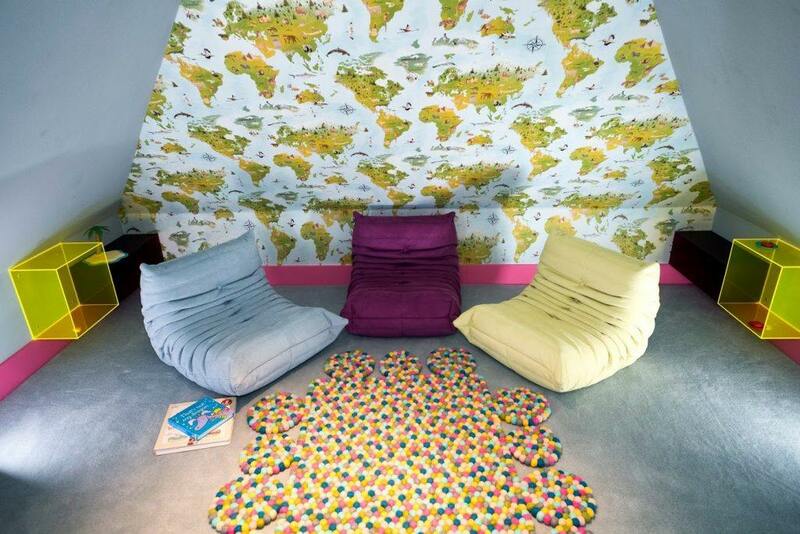 We wanted to propose a colourful and fun room, as we do at MK Kids Interiors. 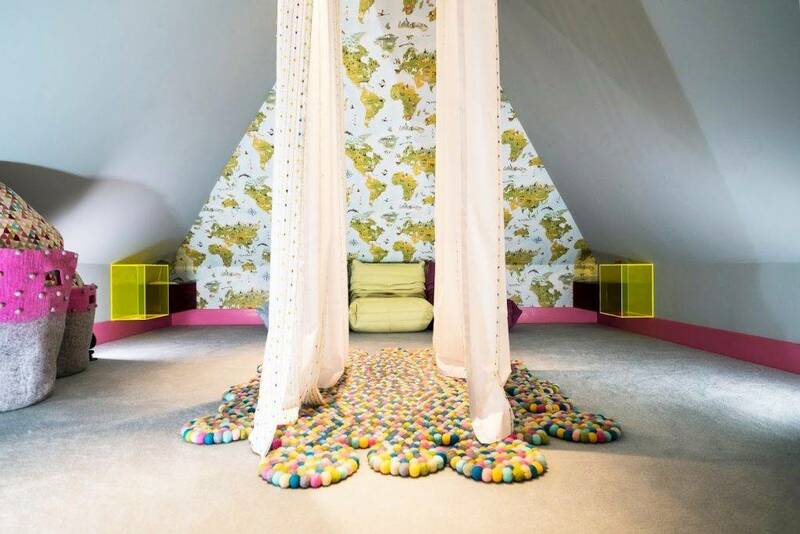 After all, it is a playroom and they won’t have to sleep in it. 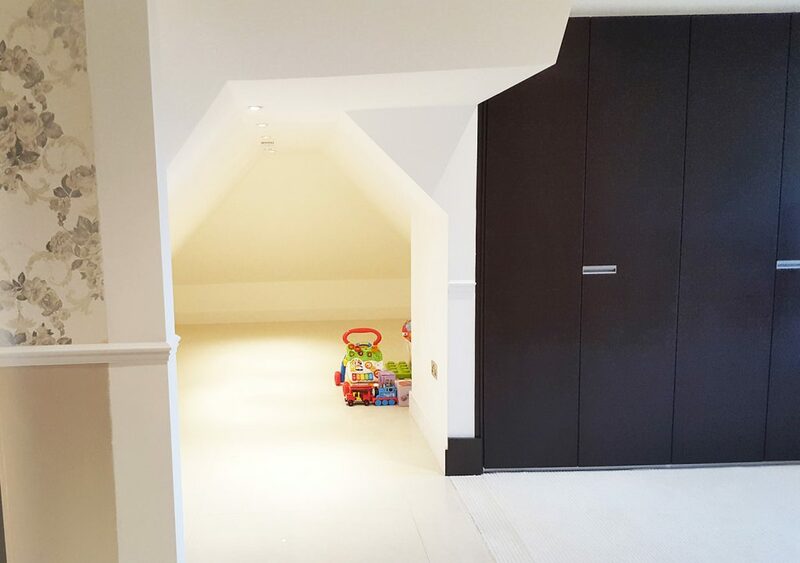 The room was generous in size; however they were some awkward sloping ceilings which we had to consider in our design scheme. 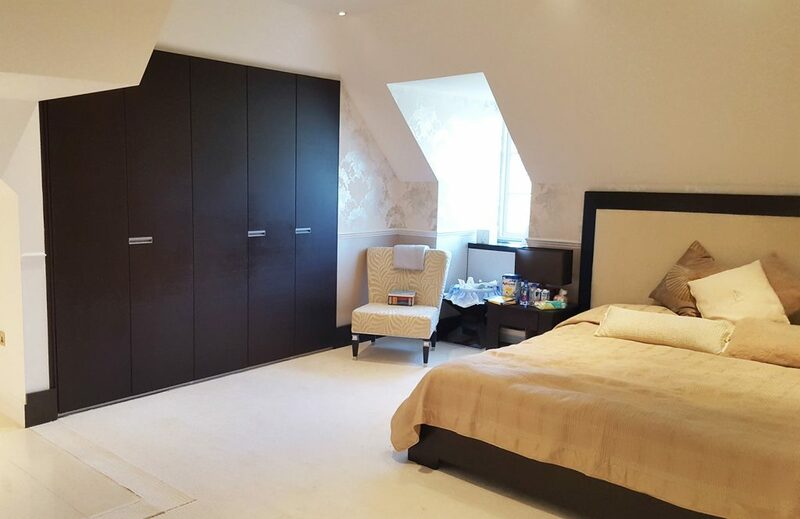 It was previously a bedroom, however there was an adjoining attic room. 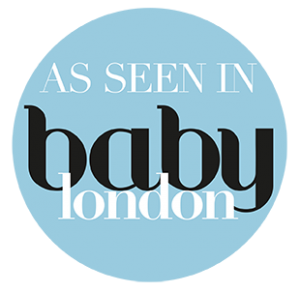 When I first saw the space, the creative juices began flowing and I saw a play house, with legos, a climbing frame with a slide, a climbing wall and a ball pit – this is exactly what I proposed and the client ‘loved me’ for it. 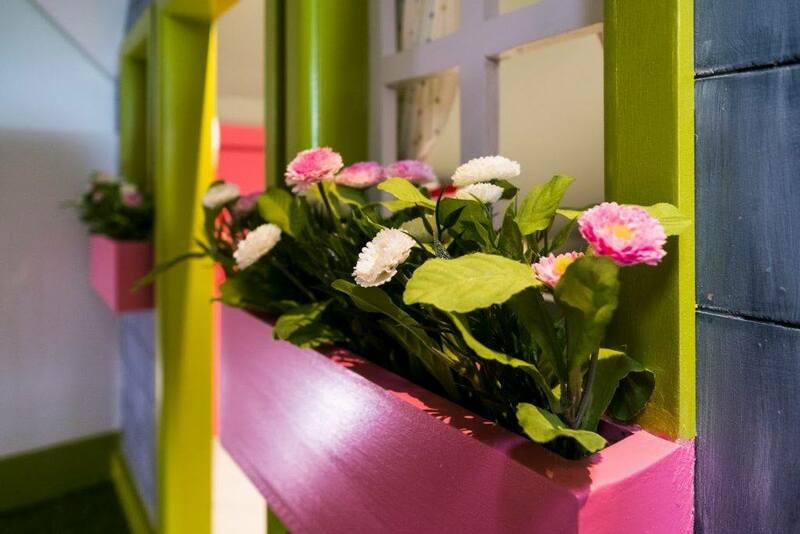 On this consultation, I never met the clients, but I knew that they had contacted other interior designers, who were not creative enough. 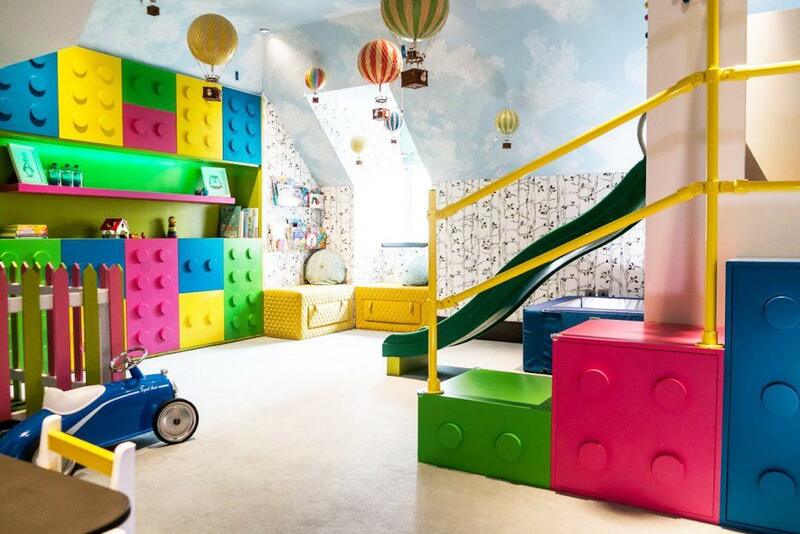 Most of the rooms we design for children are bespoke and unique, we do our very best to make it playful and fun, so that children can enjoy their childhood and get lost in a world of imagination. I was nervous about my presentation with the client as I had never met them and didn’t know if they would like our proposal. But she loved it and wanted us to proceed! Yay! 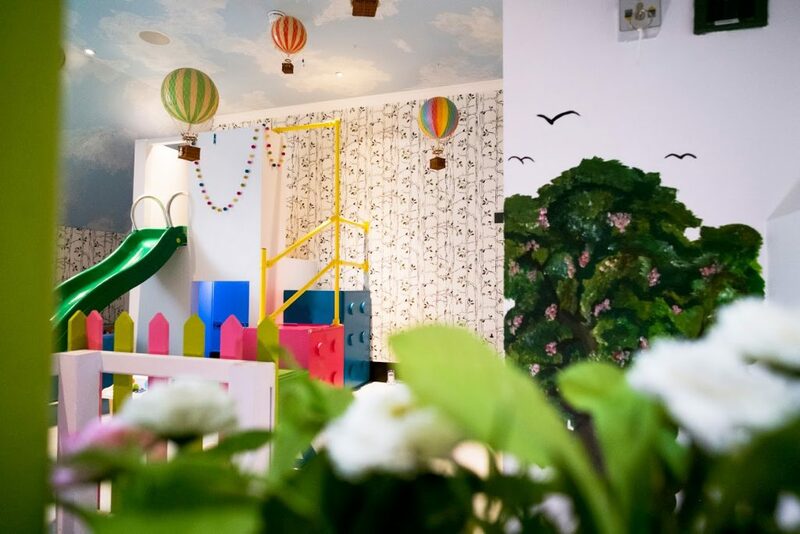 Take a look at the before pictures, the concept visuals and the final playroom design. 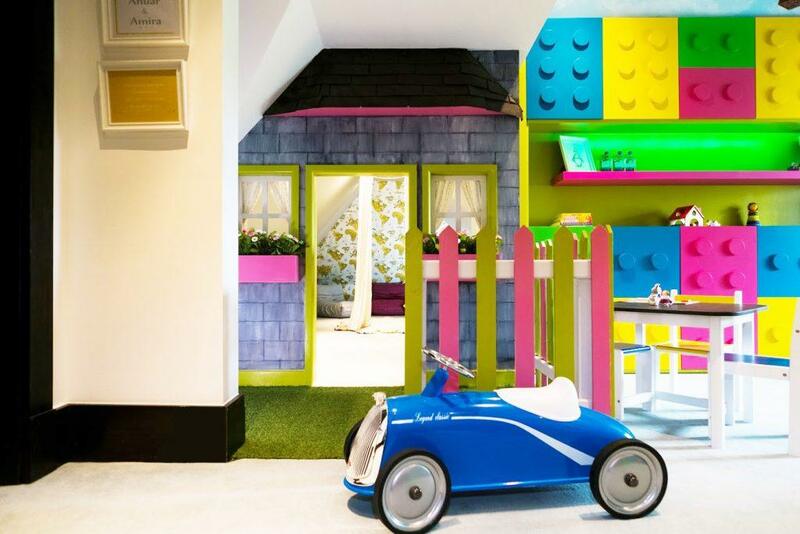 This playroom took approximately 6 weeks to build and an extra month, waiting on the amazing mini togos. 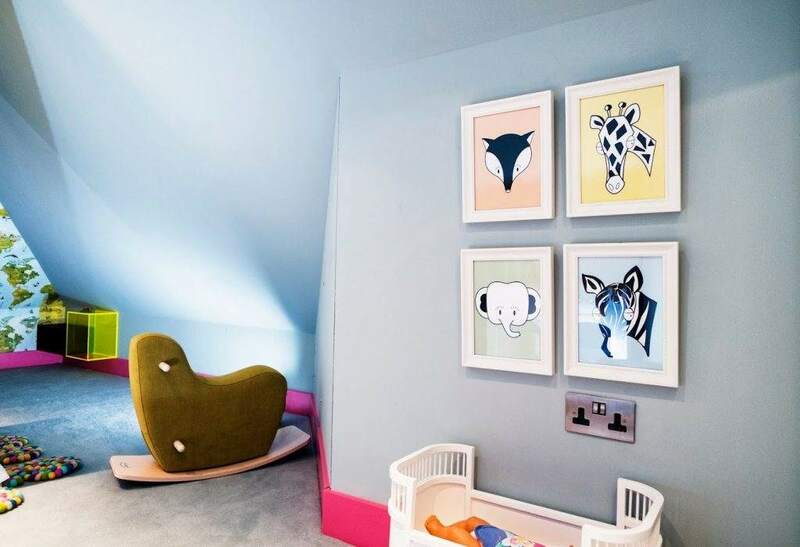 These safari art prints decorate the entrance of the playroom, accompanied by a modern rocking horse that leads into the lounge and play area. 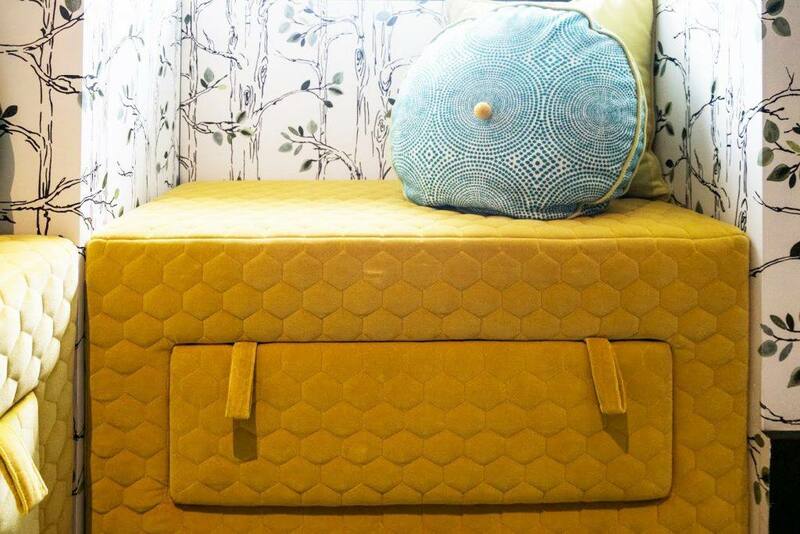 The reading nook has lots of natural light; it was strategically placed under the window, this area features a pair of bespoke storage ottomans and our acrylic book ledges. The view from the kitchen inside the playhouse. The hot air balloons are floating away in the distance over the custom built climbing frame with a slide. 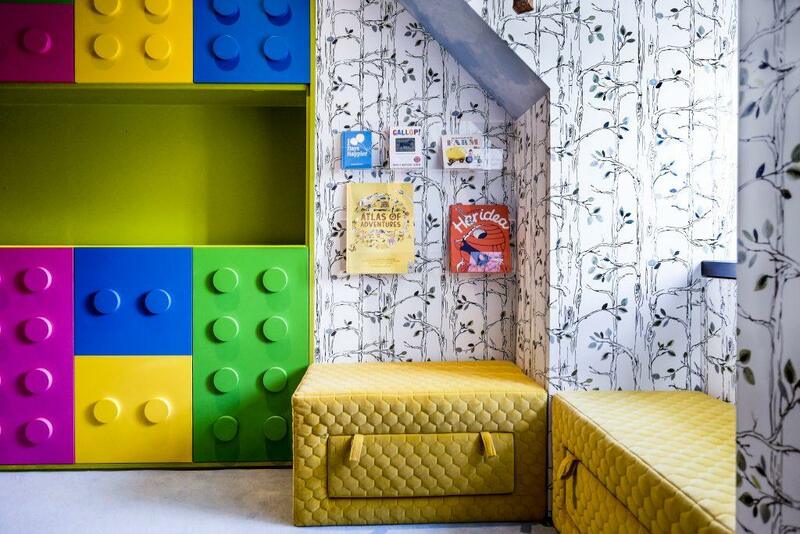 I thoroughly enjoy working with families to create great interiors and this unisex playroom was no exception. If you have a room that needs help, I would be happy to hear from you. 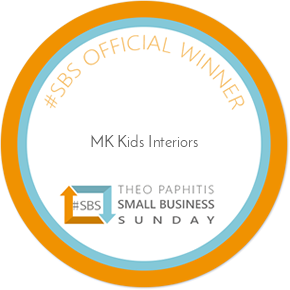 Email us at info@mkkidsinteriors.com, or call 02032873722. Absolutely AMAZING!!!!!! Medina, it’s gorgeous. 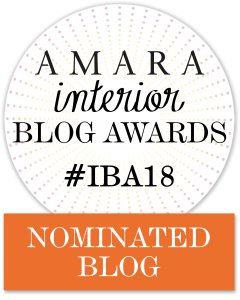 Well done to you and your team! Speak soon!